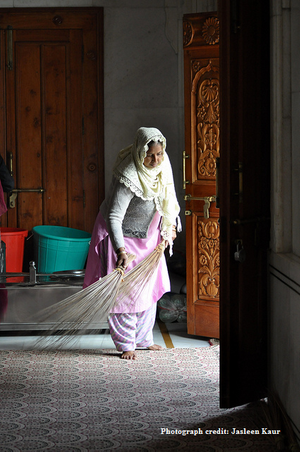 In 2013, the Convention on Domestic Workers came into force. It is the 189th convention adopted by the International Labour Organisation, which defines the work of domestic workers as ‘decent’ work, lending value to the numerous tasks undertaken by them on an equivalent level as any other worker. The Convention on Domestic Workers ensures that domestic workers obtain remuneration commiserate with the labour involved, a safe environment to work in, protection from abusive treatment, provision for redressal of the complaints of domestic workers, regulation of work hours, social security and so forth. Domestic workers in Goa usually get a raw deal in terms of wages and social security. It is estimated that there are over 7 lakh domestic workers in Goa and a huge number work in unsatisfactory conditions. Many States in India have set in motion legislations such as Unorganized Social Security Act, 2008 and Minimum Wages Schedules. Goa, unfortunately, does not make the list. Nevertheless, these legislations fall short as they do not provide the comprehensive coverage Convention 189 can usher in. 180 countries have signed the Convention. Since India has held back from ratifying the Convention, domestic workers not just in Goa but all over the country, have been deprived of rights that would help improve their lot tremendously. The ICM (Immaculati Cordis Mariae) Sisters or Missionary Sisters of the Immaculate Heart of Mary work in the areas of health care, education and social work. In Goa we have the Goa Domestic and Migrant Forum which is managed by Sr Marie Lou Barboza and supported by Sr Escaline Miranda and Sr Orpha Tirkey. 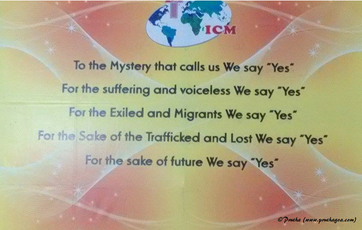 The Sisters of ICM have long been in the sphere of alleviating the deplorable circumstances of domestic workers. 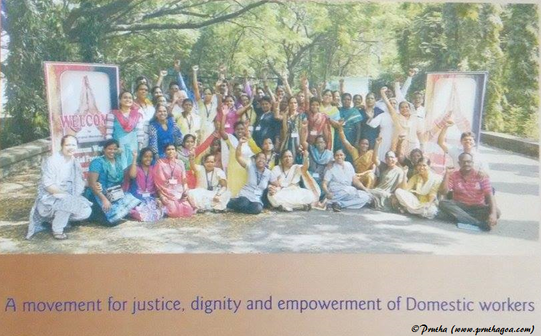 Sr Jeanne Devos ICM started the National Domestic Workers’ Movement in 1985, in the Dindigul district of Tamil Nadu. The movement reaped innumerable benefits for domestic workers in Tamil Nadu. The Sisters of ICM wish to bring similar changes to Goa and reverse the adverse state of affairs for domestic workers all over India. The plan of action is to prod the Central Government to ratify the Convention on Domestic Workers, but it seems to be a long drawn out effort. Arguments against the provisions of the 189th Convention are that the place of work is not adequately defined to bring individual employers under one category as in the case of a factory that has factory workers. How does one monitor individual employers? This is where the need for a union for domestic workers comes in. 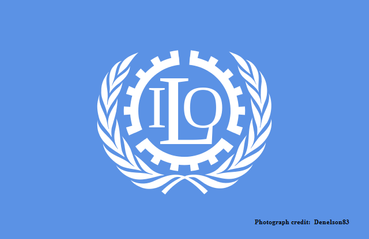 The other issue is, of course, the ratification of the 189th Convention of the International Labour Organisation. In both cases the Sisters have been assured of the support of MPs of the ruling party and the opposition. The Department of Human Rights and the Department for Women and Child Development have decided to take the cause further too. Sr Escaline, who took over the reins of the movement from Sr Jeanne Devos but is now semi-retired, says, ‘Demands will be met only when the workers take to the streets in protest!’ This seems reminiscent of the manner in which domestic workers in Tamil Nadu obtained a settlement of minimum wage and social security. The domestic workers will be trained by members of the National Domestic Workers Movement from the 27th (9.00am) to the 28th (4.30pm) at Dashia, behind JMJ Hospital, Porvorim. At the end of the camp, leaders of the domestic workers will be selected under whom the union will be registered. This will mark the beginning of a new dawn for domestic workers in the State.